As the name suggests, this will be a teaser to the upcoming 4th installment of "Where's The Party?" epic party by Carlsberg. One which I'm really looking forward to. This being the first teaser party, there will be eight more preview parties that is held nationwide leading up to the main event. So for those who looking for invites to the 4th Where's The Party?, the good news is that each of these teaser parties will be giving out 5 sets of invites. Each sets of invites given will enable you to bring 3 of your friends, instead of the usual 1 additional guests before. A total of 130 sets of tickets will be given out and each set admits you plus a friend. All invited guests were treated with performances by local DJs as well as free flows of Carlsberg. The fourth installation of Where's The Party? will see stars from the local and global party stage converging under one roof. It's also announced that party-goers who make it into 'Where's The Party??' 2013 in Malaysia will have a chance to win an all expense paid trips with three of their friends to see DJ Axwell at the global "Where's The Party?". We were given a passport book with flight details of the previous WTP locations but the 4th one was labelled as a secret, perhaps the passport was a clue itself? Possibly another hint on where the next epic party will be held? 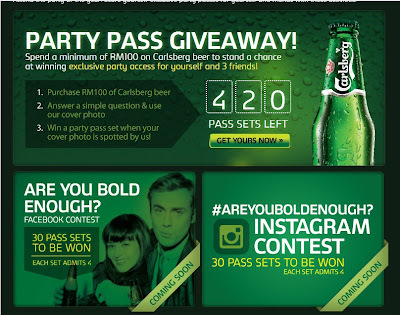 If you so happen to miss the many teaser parties that is held, you can still secure an invitation by purchasing RM100 worth of Carlsberg beer and by hanging on to the receipt and head over to www.wherestheparty.my to register and be in the running to win a set of invites. Other ways to win passes to be available soon! 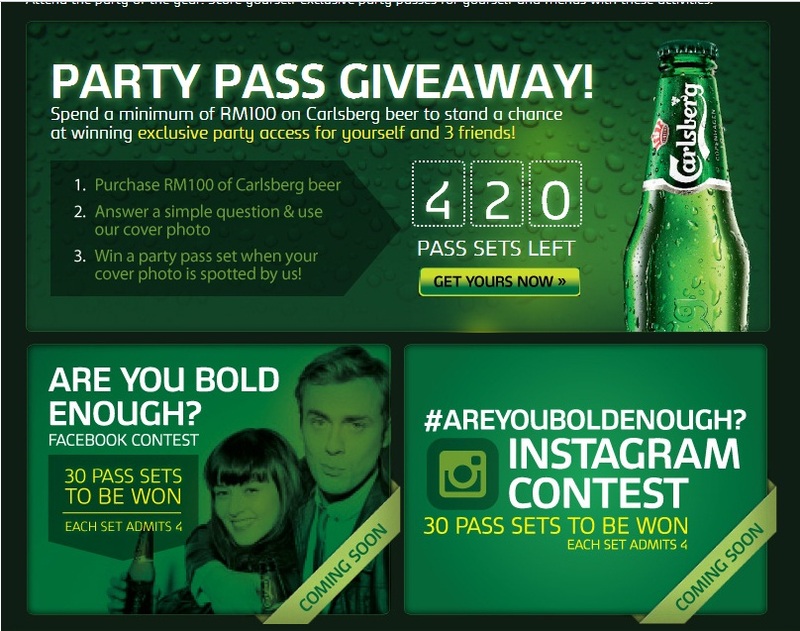 Carlsberg will be giving away 3000 invitations so hurry now and as the old saying goes. This calls for a Carlsberg!